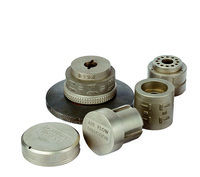 Both flat and rotary embossing stamp dies can be provided for the marking of materials such as steel, brass, aluminium, plastic, paper and card. Steel hand stamps are the simplest method of marking. Striking the stamp with a hammer provides the marking force. 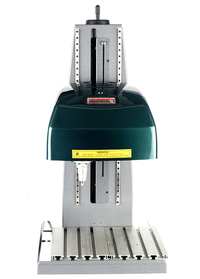 Scribing marking machines technology generates high quality continuous line marking with very low noise level operations.